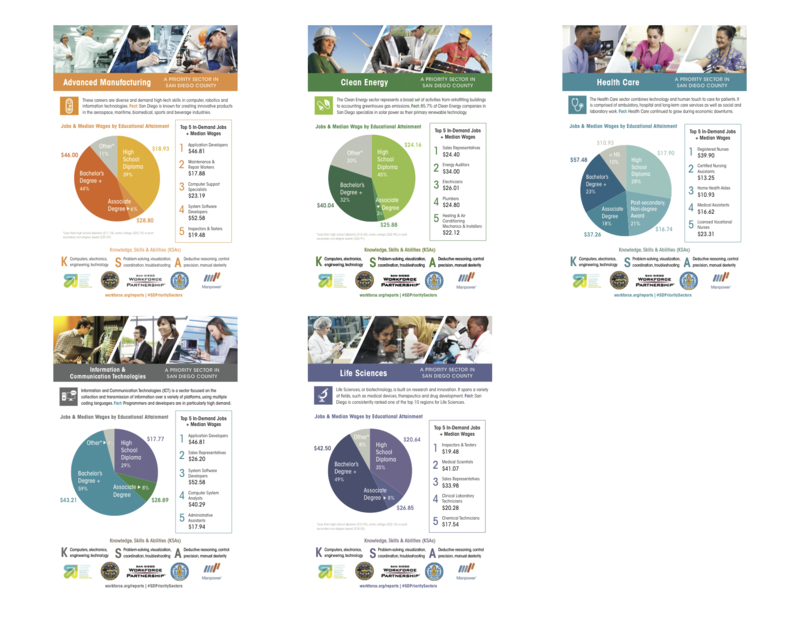 San Diego Regional Economic Development Corporation (EDC) regularly releases and sponsors research that provides a baseline of industry data to encourage and support economic investment. EDC also conducts studies on key industries and identify actions needed to spur growth in the region. Special reports and economic impact studies conducted by EDC. Check out our blog for more commentary and news surrounding these launches. Every quarter, EDC presents and analyzes key economic metrics that are important to understanding the regional economy and San Diego's place in the U.S., sponsored by Chase. Economic overviews of San Diego’s most important industries. For an interactive version, please see key industries. Additional research and economic impact studies conducted by partner organizations and universities.